Saltillo. - The commander of the South Delegation of the Municipal Police, César García Guevara, was killed in the line of duty in the early hours of Friday after being shot by a group of armed men in the neighborhood of Buenos Aires. It was reported that at 0:38 hours, while on patrol duty in his official car, a Chevrolet Captiva no.11208, the chief was attacked and killed by unknown gunmen at the intersection of Division and Rios in the southern sector of the city. As a result of the shooting, the commanding officer lost control of the police vehicle and impacted over the back of a parked Ford Model 79 truck. The officer was shot in the head and the body with various firearm projectiles in what appeared to the naked eye to be the same that instantly took his life. The Chief of Police of Saltillo, Yáñez Clemente Carrillo confirmed to Radio Zócalo the assassination of Caesar Eleazar Garcia Guevara commander, 39 years old, who early Friday was riddled with 12 shots from a high caliber weapon. It was reported earliest at 12:38, when a witness at the scene took the dead commander's radio and used it to notify the base of his death. Immediately police moved to the scene at Division and Rios Streets in neighborhood Buenos Aires where Garcia Guevara was found dead aboard his Chevrolet Captiva patrol car. The officer was hit by shots from persons in a gray Dodge car. According to the witness, the shooters fired first into the back of the commander's vehicle, which swerved to the right of driver, and hit a parked truck and he was dead instantly," said the official. Yanez Carrillo called the fallen Commander as an honest cop, courageous, with a very great future vocation with law enforcement. He had 13 years of service within the corporation. The fallen commander is survived by his parents, his wife and two small children. 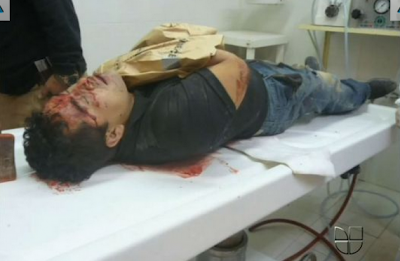 Press Chief Confirms the criminal attack against the municipal police In the morning broadcast of Radio Zócalo Saltillo, the CP Francisco Juaristi contacted the press chief of the municipal police, Patricia Moreno, confirming the fact and location where the commander of the South Delegation, Cesar Garcia Guevara, was killed. Moreno explained that around 1:00 on División del Norte, in the neighborhood of Buenos Aires, a police car on a routine neighborhood patrol was violently attacked. Garcia Guevara was traveling alone and died alone aboard his patrol vehicle. For now, they haven't ascertained the identity or number of armed individuals who assaulted the officer. 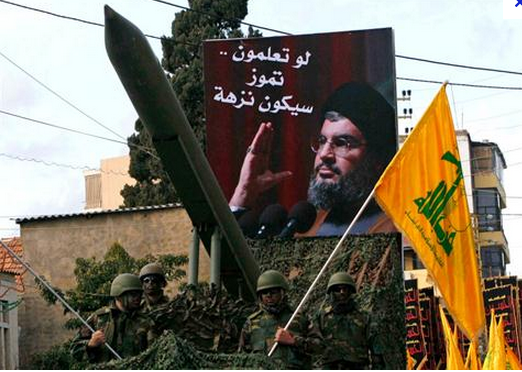 As of yet they have no details on the size of the bullets that took the life of the commander, except according to the authorities of the fourth group of Homicide Attorney General of the State, they found shell casings of high caliber at the scene. The investigations are proceeding. Patricia Moreno said that Cesar Garcia Guevara had risen through the ranks of the police to become a commander of the Southern Command Delegation, indicating he was the one who had previously personally informed families of slain officers on duty to fact that their funerals would have to be held privately for security reasons as well as for the tranquility of the bereaved. 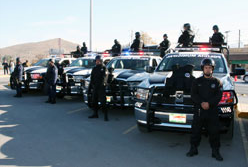 The Chief of Police in Saltillo Yáñez Clemente Carrillo recounted fallen cops along the years and said there has been more than five, including Commander Marcial Barron, Captain Ignacio Meza, the official Reyna Barajas Munguia, Elisa Ugalde Maribel Torres and the latter, Commander Eleazar Cesar Garcia Guevara. The prosecutor of Common Law, Rafael Martinez de la Rosa, verified the violent crime and ordered the the removal of the body and arranged transportation to the Medical Examiner for the autopsy. The escape of 129 prisoners from the prison of Piedras Negras, the execution of Jose Eduardo Moreira, son of former Gov. Humberto Moreira, the killing of Heriberto Lazcano, the leader of the Zetas cartel, and the execution of electoral officer Nathaniel Rivera have been security events that have recapped the first years of Ruben Moreira as state governor. In his campaign platform, Moreira made it clear that security would be one of the hallmarks of his administration, with the phrase "I'll handle security." 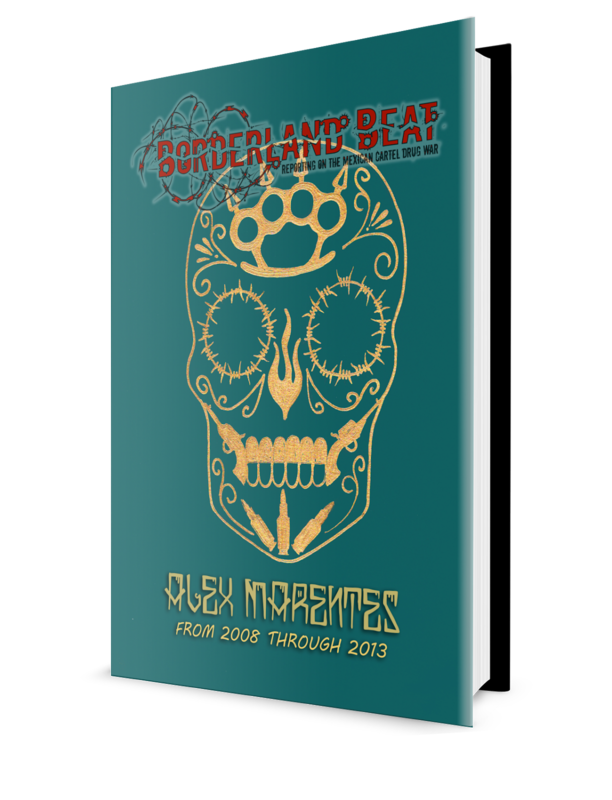 Here is an account of the violence that have occurred in the state during the first year in office Moreira. The first month of the current administration had no respite or any influence because it was the Christmas season. In December attacks continued in the bars and clubs of Torreon Also there was a killing of a policeman chief and his stepson in Saltillo, and the kidnapping of seven Police graduates. 3 Organized crime "welcomes" the new administration with an attack on bar "La Barra" of Torreon, where three people died. 5 The municipal police chief of Saltillo, Emmanuel Almaguer Perez and his stepson , are executed while in their vehicle. 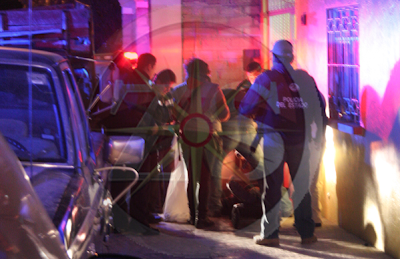 7 Three men aged between 20 and 30 years old were gunned down in Vista Hermosa, in Saltillo. 9 Seven Coahuila police graduates are kidnapped, which unleashes a confrontation where two people are rescued and one dies. 13 Serafin Pena Santos, director of Cereso of Saltillo, is killed by eight bullets in front of a technical secondary University Avenue. The first month of 2012 shocked the city Saltillenses because it presented the first "hanging", common in cities like Monterrey and Torreon. 16 The director of Women Cereso [prison], Silvia Parra Perez of Saltillo, is ambushed and kidnapped in the morning by armed men. later released. 18 Appears the first hanging in Saltillo. The body of Joel Espinosa Luis Sosa is found in the MDV, after being executed and hung on that structure. The month of "love and friendship" was not so, and was characterized by the killing of police and elements involved in drug trafficking. 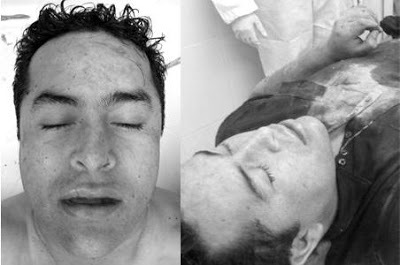 4 The elements of Alfredo Peralta Police Investigating Oscar Ramirez and Jesus Ontiveros are riddled in Torreon. 14 Arturo Alvarez Andrade, police chief of Saltillo, was killed by three bullets in Saltillo outside his home in Lomas de Guadalupe. 16 After the capture of federal and state control by the PGR, an armed group attacked and killed Jorge Bazaldua, the trusted Tobias Sergio Salas, is one of the state officials arrested, allegedly for his links drug trafficking. 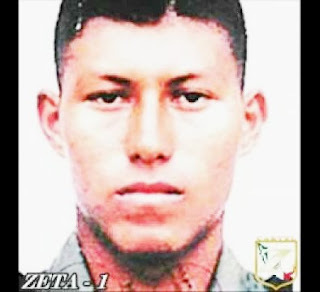 During April, a zeta leader is arrested in Saltillo, causing violence to break out including that massive shootout at the building of the PGR, which injured three federal agents. 1 Three bodies of women are found in a clandestine grave in the ejido . 28 José Alberto González Xalate, "El Paisa", whom federal authorities identified as a member of Los Zetas is arrested, a fact that triggers a series of shootings in Saltillo. 29 Aboard two Humvees, a heavily armed commando attacked and shot the building of sub Attorney General's Office in Saltillo, injuring three federal agents and a civilian passing by. 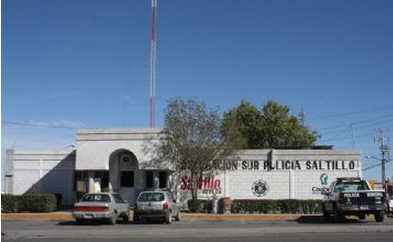 During the summer of this year, the shootings are intensified in Saltillo. 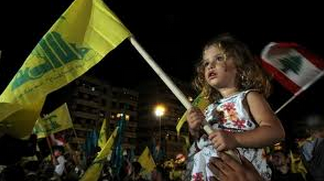 In June it became necessary to shut down schools and close shops for the security of people. 3 A total of 11 dead and over 10 wounded by gunfire was the aftermath of the shooting attack by a command at the rehabilitation center located in Ejido La Union in the rural area of ​​Torreón. 22 On this day occurred one of the most violent days in Saltillo, and chases after clashes throughout the day between gunmen and authorities, there was a total of nine people killed: eight criminals, one civilian and three state troopers injured. 5 A confrontation in Saltillo left a toll of four dead suspects, three soldiers injured and a woman traveling in the same vehicle as the attackers. The facts were reported around 3:32 am on crossing of Boulevards Luis Echeverria and Miguel Hidalgo. 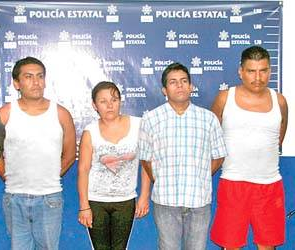 9 Ten kidnap victims were freed and five suspects, including 16-year-old arrested in Saltillo, during a raid by federal police. 28 Three adults and a child are executed by a command inside a garage and car wash.
11 The municipal police in Reyna Barajas, assigned to the Coordination of alcohol, and Maribel Ugalde, the Police Special Unit for the Investigation of Family Violence, are found executed with bullets to the head on the highway Saltillo- Torreón. 17 In the largest mass escape in memory, 129 inmates escaped from Cereso of Piedras Negras. 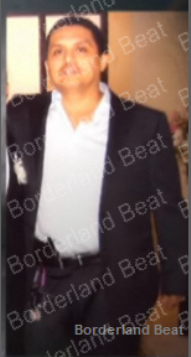 18 Ignacio Meza Rueda, deputy director of the Municipal Police of Saltillo, is ambushed and executed in the MDV. 19 One dead, two injured are the casualties of an assault of a commando into the restaurant "The Frigate"
Perhaps most shocking month: Jose Eduardo Moreira is executed, son of former Gov. Humberto Moreira, in an alleged "narcovenganza" in which police were involved in Acuña. 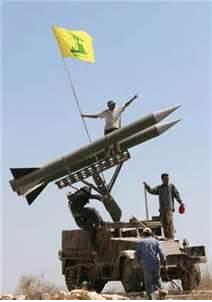 Also killed Heriberto Lazcano, top leader of the Zetas. 2 In a Piedras Negras clash between authorities and criminals, is killed Alejandro Chavez Trevino, nephew of Miguel Angel Trevino Morales, the second Zeta leader. 3 Jose Eduardo Moreira, son of former Gov. 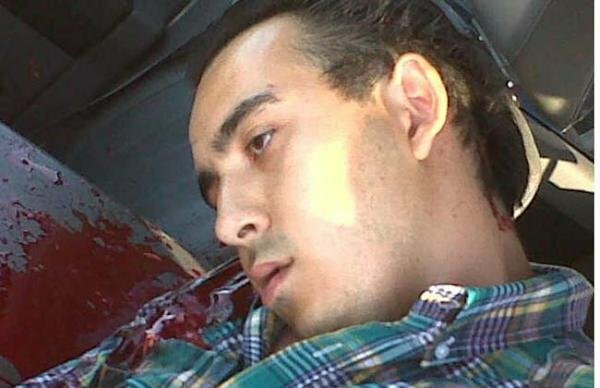 Humberto Moreira, Acuña is executed in revenge for the GATES killing of Alejandro Chavez Trevino. 7 In a confrontation in Progresso, killed by elements of the Navy is Heriberto Lazcano, top leader of Los Zetas. 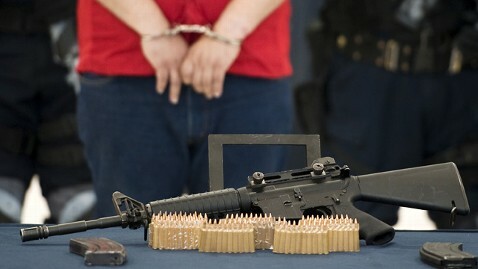 12 Elements of the Federal Police arrested three men and rescued a person deprived of liberty during a raid in Torreon. The continued violence claiming the lives of security personnel, in this case a member of GROMS. 3 10 people are killed in Torreon in two different events. Six killed when a commando broke into a ritual of Santa Muerte and four more to be found inside a car, two couples dismembered. 5 After a series of clashes in Piedras Negras, six criminals are killed by federal forces, disrupting classes for 2000 students. That same day, in Saltillo, a narcomanta created panic by appearing in the MDV. 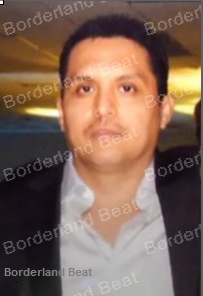 8 Omar Juarez, "The Peluso" Saltillo plaza boss of Los Zetas, is captured by the Navy of Mexico. 10 A local group element GROMS dies after chase and confrontation with criminals in the Metropolitan Park. 22. 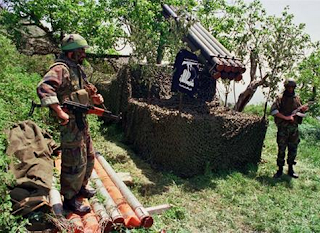 Military troops a property located five kilometers from the bypass Berrueto Eliseo Mendoza, where there were half-buried human remains. 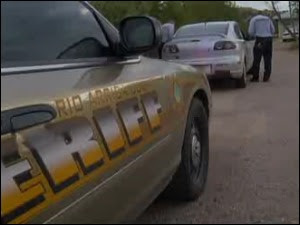 24 Four people were executed inside a taxi were located on a road near the boundaries between Piedras Negras and Zaragoza. The 2012 violent closes December 1. The kidnapping and execution of Nathaniel Rivera and the appearance of 4 "hanging" in the MDV. highlighted the news this month. 1 During the first hours of the government of Enrique Peña Nieto and even before he received the presidential sash, a group of thugs appeared in Saltillo with attacks on government installations and the Institutional Revolutionary Party building. Through a statement, warning that it was the "first phase" of their conflict. 3 An ambush on PGJE officers left an officer dead and seriously injured another in Jupiter Street North in Saltillo. 7 The dawn of this day are four bodies hanging in Megadistribuidor. 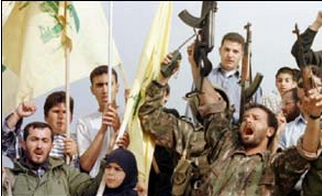 According to early investigations, this act would be part of a clash between two rival gangs of organized crime. 8 The execution of a mining entrepreneur in the Carboniferous Region of Coahuila. 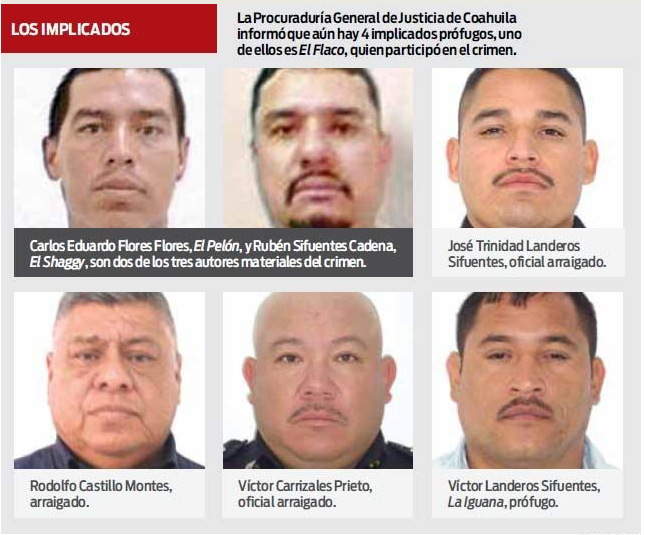 12 It is revealed that kidnappers are members of the PAN in Coahuila, some of them identified as Guillermo Anaya team. 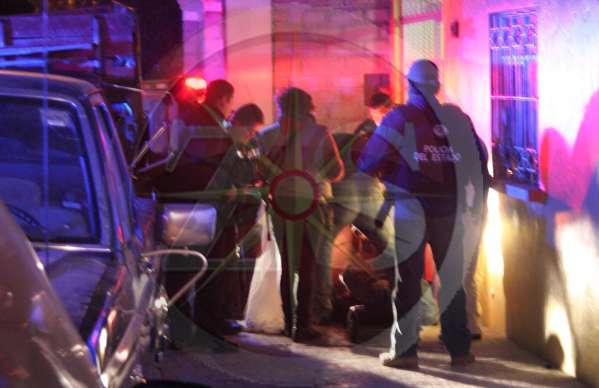 17 In El Ejido Guadalupe Victoria, in Saltillo, are found the bodies of six people executed. 18 They confirm that Nathaniel Rivera, executive secretary of the IEPC, is among the six people found tortured and executed in Ejido Guadalupe Victoria. 27 Five children escape the Juvenile Detention Center in the Bellavista neighborhood, after beating guards, also find in Viesca six bodies. 28 Cesar Garcia Guevara, element Municipal Preventive Police, was killed from 15 shots in the Buenos Aires colonia of Saltillo. The army said the anonymous caller was reporting gunmen standing outside a two-story house in a hilly neighborhood near the international bridge where motorists travel between Mexico and the United States. Inside the house, soldiers discovered a fake wall inside a storage closet under a staircase that led to a dark room with buckets and clothes. After lifting a drain cover in that room, soldiers found another staircase at the entrance of the tunnel that went 16 feet underground and measured a yard in diameter. Light bulbs lit the underground passage and pipes stretched across the 120-yard tunnel that Mexican army officials believe was built to smuggle drugs. It was unclear whether officials made any arrests, but the house where the tunnel was found was seized by the local government. Military officials did not say how long they believed the tunnel had been under construction, but authorities say it can take six months to a year to build such a passage. 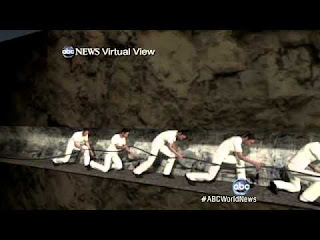 Sophisticated secret tunnels stretching across the international border have become increasingly common as drug cartels invent new ways to smuggle enormous loads of heroin, marijuana and other drugs into U.S. According to the report at around 1200 hrs, the family was bound for Chihuahua state when the victims was intercepted by armed suspects, and then driven some distance only crash at a location about 24 kilometers outside of Fresnillo. Killed in the crash was Yolanda Zubia Fernandez, a former government official from Guanajuato state and Zubia Ordaz's sister, and Brenda Ordaz Zubia, 34 and her son Luis Alfredo Ordaz Zubia, 14. 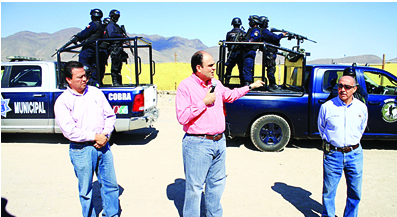 Three months ago Chihuahua state politician Alex LaBaron claimed that in September in Fresnillo Max LeBaron, his brother, and two women were taken hostage and driven to a warehouse in Cuencame municipality in Durango. There Max Lebaron was beaten. Three hours later the trio were released near Fresnillo. 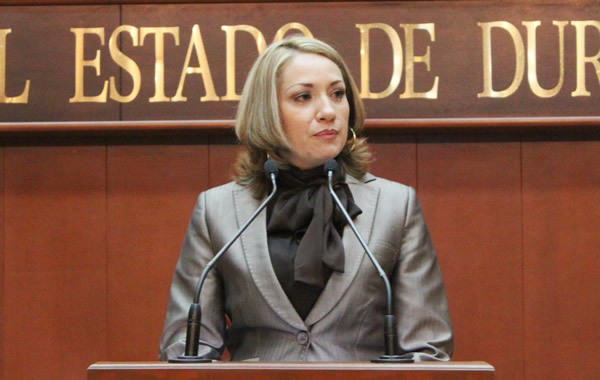 The last incident probably explains why the Secretaria de Defensa Nacional (SEDENA) the controlling agency for the Mexican Army had announced plans in November to reinforce the northern border areas in Zacatecas, especially near the borders of Durango and Coahuila states. 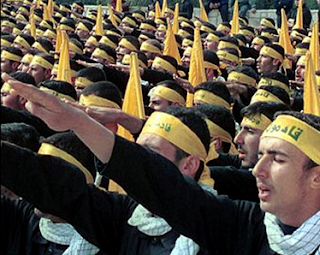 Since that announcement, more than 50 individuals have been killed mostly in intergang fighting and executions. Incidents have taken place on or near Mexico Federal Highway 54, and have included 13 killed in or around Fresnillo between November 12th and December 16th. 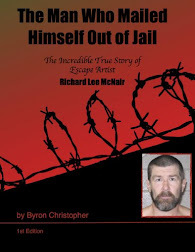 Included in that time frame was a counter kidnapping operation by units with the Mexican 11th Military Zine which led to the capture of four kidnapping suspects. Other killings have occurred in that time frame in Jerez and Calera municipalities as well as in Guadalupe and Tabasco municipalities. According to a news item posted on the website of El Sol de Zacatecas news daily intense fighting between armed gang members have been taking place since Christmas. Locations in Fresnillo include firefights on Calle Miguel Hidalgo, near Zona Centro and near the Palacio Municipio or city hall. Fighting continued in Zapata colony, on Avenida Huicotand and near Chedraui store. According to the report fighting continued Thursday in Esparza colony, near the school Secundaria Técnica 2 and in Paseo del Mineral colony near roads that lead to Valparaiso. 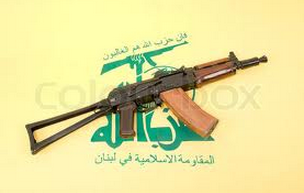 No one was reported killed or wounded in these multiple gunfights. Criminal gangs also ahve been known to don military uniforms to appear as legitimate security elements to disguise their presence in public. Less than 30 percent of victims found in Durango's mass graves have been identified, according to Mexican news accounts. 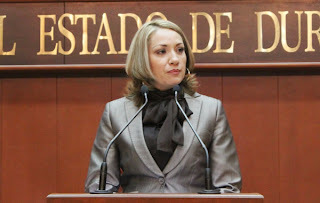 A news report posted on the website of El Siglo de Durango news daily, Durango state Fiscalia General del Estado (FGE) or attorney general, Sonia Yadira de la Garza Fragoso, released information that since the final report on the mass graves in Durango state in March, 2012, 100 bodies have been identified by family members, and then returned to them. Starting in mid 2011, 331 total dead were found in a series of mass graves discovered in Durango state, primarily in Durango city, the capital. Other sites found were as far away as Gomez Palacio in the extreme western part of the state around the La Laguna area and in Santiago Papasquiaro municipality in the north. Late July another nine dead were found in Cristobal Colon sector of Durango city, bringing the total to 340 dead. 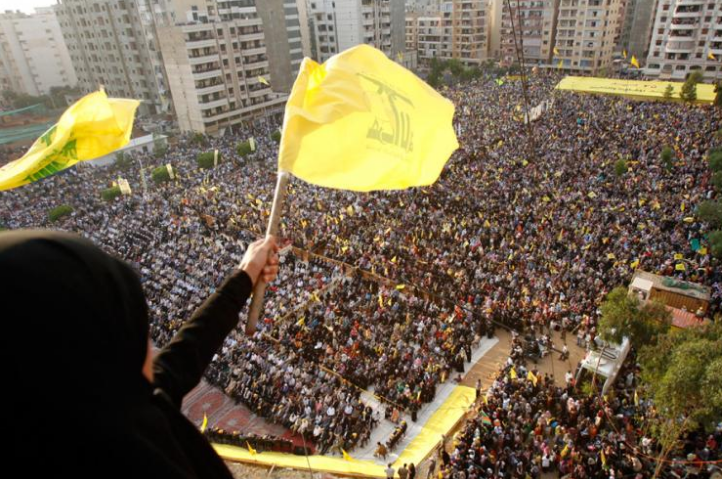 Many of the victims had been killed as far back as 2007, and 77 percent of those had been strangled or asphyxiated, mainly by being buried alive. de la Garza Fragoso said relatives such as grandparents and cousins were providing DNA samples to help with identification, a much less accurate means of determining the identity of the victims. Some remains, however, are so decomposed that DNA samples are impossible to obtain, so, according to de la Garza Fragoso, other means are being used. 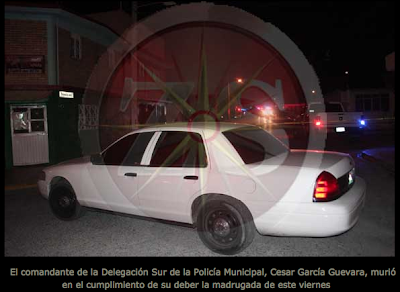 Members of the Gulf cartel (CDG) abducted and executed a Zetas plaza boss in the state of Zacatecas. 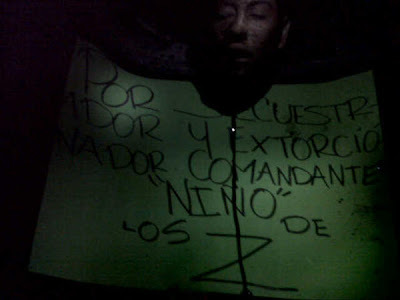 A Mexican narco-blog posted the picture of Commander Niño de Los Zetas (boy of the Zetas) who was decapitated by alleged members of the Gulf cartel in Zacatecas. Commander Niño was plaza boss in numerous towns in the state of Zacatecas but he was in charge primarily in the towns of Fresnillo and Jerez. "For being a kidnapper and extortionist Commander Niño of Los Zetas." 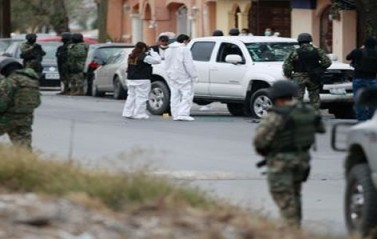 The Gulf cartel and Los Zetas are currently locked in battle over control of plazas in Zacatecas that has generated an increase of violence in the region. MEXICO CITY, (ap). - Nessie Susana Topete Herrera or Jessica Itzel Martinez Requena, one of the nine women most wanted by the Attorney General's Office (PGR), was captured Thursday in the city of Querétaro. A news item posted on the website of El Diario de Coahuila news daily reported Christmas day that the bodies of four Pihuamo municipal police agents were found in he village of Los Naranjos. The victims had been abducted from a bullring in Pihuamo municipality during an public event, and led away by armed suspects dressed in military uniforms. 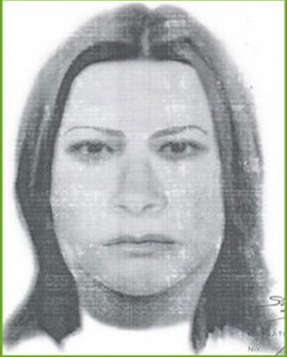 A fifth victim was found in Los Naranjos, but the identity had not been established; only that that victim was not a police agent. Since a scan of the website of SEDENA failed to turn up any notifications of any shootouts from any regional commands since December 23rd, the source is probably from a military zone spokesman, likely the 41st Military Zone based in Puerto Vallarta, Jalisco. A total of nine unidentified individuals were shot to death in Sinaloa state Christmas eve, according to Mexican news accounts. According to a news report originating from an El Universal wire dispatch published on the website of El Porvenir news daily, the president of Concordia municipality, Eligio Medina Ríos, told the press that armed suspects entered the village of El Platanar de los Ontiveros are starting shooting at residents who were on foot. Among the dead were the spouse of a member of the village counsel. Medina Ríos also placed a call with Sinaloa governor Mario Lopez Valdez to ask for emergency aid to the area. It is unclear where in Concordia municipality El Platanar de los Ontiveros is, except that it has been noted it is in a remote mountainous area of Sinaloa state. The report also notes that many residents of the area have fled violence, including those from the villages of La Cieneguilla, El Tiro, El Llano and Zaragoza. Concordia itself sits on Mexico Federal Highway 40, the northern most contiguous major east west road in Mexico. The highway connects the seaport of Mazatlan in Sinaloa state on the Pacific coast and Reynosa and Matamoros in Tamaulipas state.